Pensions in divorce are underused. Statistically only 11% of divorce orders include a pension share despite it often being at least as valuable as the family home. There is no legal reason for this and Michael will be happy to explain the process for obtaining a pension share order. 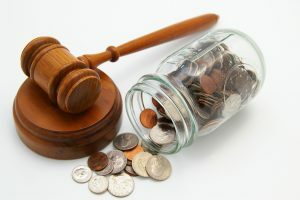 In his experience, spouses often take a possessive view of pensions out of proportion to the reality of family life and the non owning spouse can unfairly be made to feel that they have no moral entitlement to a share of the pension. Divorcing a person with overseas pensions need not be a problem. This article was added on Monday, January 9th, 2017 at 2:25 pm and is categorised under Cheshire News, Chester News, Divorce, divorce finances, Macclesfield News, northwich solicitors, Runcorn News, St Helens news, Warrington News, Widnes News, Winsford News. Both comments and pings are currently closed. Error: Error validating access token: Session has expired on Saturday, 09-Mar-19 13:12:58 PST. The current time is Thursday, 25-Apr-19 21:45:12 PDT.